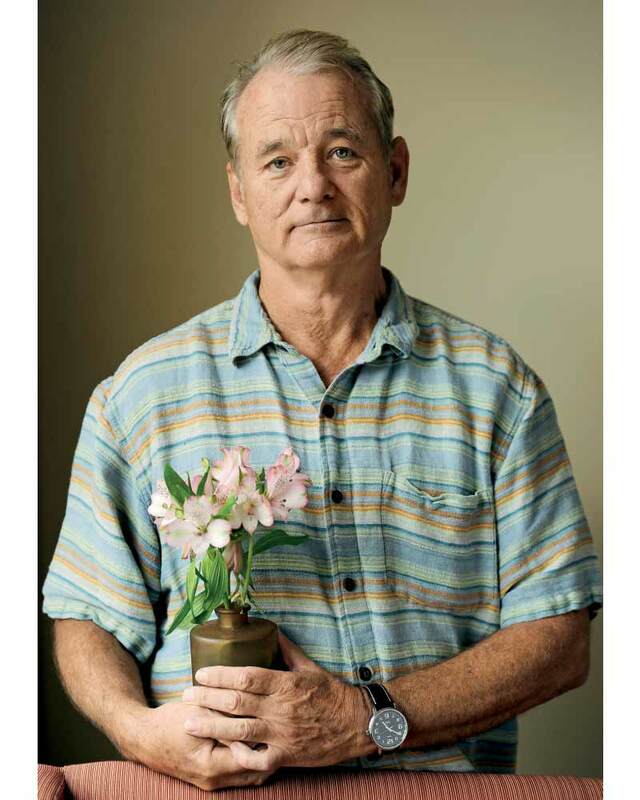 When it comes to blazing a trail through the Hollywood hyperbole, Bill Murray has always played by his own rules. With his new restaurant, Caddyshack, open for business, we thought it would be fun to revisit Chicago’s biggest Cubs fan and resident eccentric. 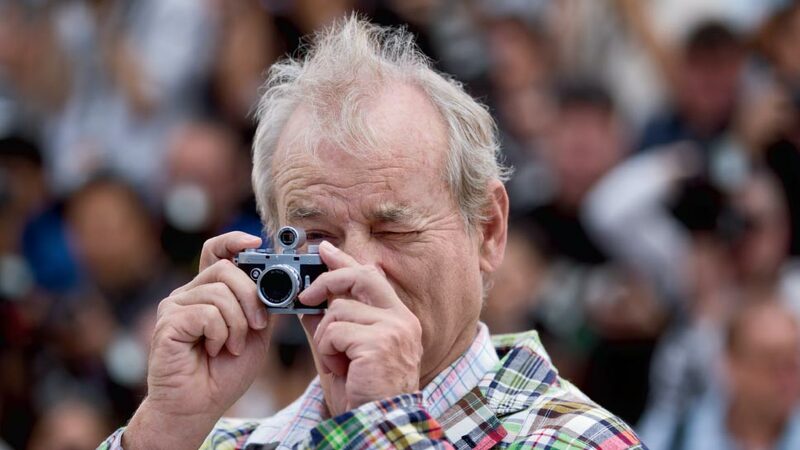 Bill Murray may be one of the most legendary eccentrics in Hollywood. He doesn’t have an agent. He maintains a private phone number that only a select few people can access. Directors often wait months before he will commit to a project, and even Sofia Coppola wasn’t sure he would show up in Tokyo to film 2003’s Lost in Translation, a film that earned several Oscar nominations, including one for Murray as Best Actor. When people think of Murray, they may think of his penchant for ludicrous outfits, how he hands out $20 dollar bills to homeless people in New York, that he invites himself to strangers’ karaoke parties, or how he once stole a golf cart in Sweden and crashed it. In 2016, he made the news all over the world as the Chicago Cubs biggest super-fan. But if you’re seeing Bill around lately, it’s probably because he and his brothers just opened Caddyshack—a dream restaurant they’ve been plotting for years to pay homage to the 1980 comedy hit that in many ways was his film breakthrough. As many fans already know, Murray spent much of his childhood growing up in Wilmette as the middle child in a family of nine siblings in a traditional Irish Catholic family. He developed his comic skills while part of Chicago’s Second City comedy troupe before Saturday Night Live gave him massive popular appeal while working alongside fellow comic greats John Belushi, Gilda Radner, and Dan Aykroyd. Murray and his brothers caddied to help pay for their Jesuit education at Loyola Academy after their father died when he was 17 years old. The script for Caddyshack, which was written by Harold Ramis, Douglas Kenney, and Brian Doyle–Murray (Bill’s older brother and business partner) was largely based on the brothers’ experiences as caddies with hilarious results. Even the scenes of the enormous family around the breakfast table and children clamouring to get into the bathroom were autobiographical. Though the Murray family didn’t have a lot of money and were crammed head-to-toe in their suburban home, the overall feeling was one of great love, and his siblings have talked fondly about the family dinner times being like a stage at which to entertain and practice their comedic timing. We caught up with Bill to get his read on comedy, life, and the state of his career. What’s different about making movies today as compared to that time in your life? Back then, movies, we didn’t take them so seriously. It wasn’t such a serious business. We used to do them for fun and because we liked the work. Back then, we really had a lot of fun. Working with that group—Harold Ramis, Danny (Aykroyd), Ivan (Reitman), Annie Potts, and (Rick) Moranis—these were all people you’d love to be trapped with for a couple months. Really, true hilarity all the time. You could feel free to try anything you wanted to do and perform for each other. Just perform for each other all the time. And when you do that, it’s a gas. Over the past decade or so, you’ve increasingly made your mark in dramatic films playing rather serious characters. Do you feel it’s hard for audiences to appreciate your dramatic work given your legendary status as a comedian? I like the way you asked that question. Nicely passive-aggressive. I’ve always felt that people who don’t think that comedians are actors are damaged—really damaged. If you’re a real true comedian, you can act. Because it’s the ability to say a line straight that enables you to do comedy properly. It’s usually the irony and the contradiction that makes a line funny and you’re acting being serious when the intent is to make people laugh. Every good comedian is by definition an actor. Why is comedy seen as less valid than drama? It’s because we need to associate seriousness and depth and hence quality with drama. But people forget that when you laugh, you’re breaking some sort of tension. You’re untying a knot. Somehow, that’s not something that people take into their emotional bank … even though people value it. Where do you get your particular brand of comic swagger? You have this fearless attitude and a sense that even if you don’t know where a comic riff is taking you, you still want to follow through. I got that from Del Close who was my teacher at Second City. He was incredibly gracious to talent and always tried to further it. He got people to perform beyond their expectations. He really believed that anyone could do it if they were present and showed respect. There was a whole lot of respect. He taught lots and lots of people very effectively. He taught people to commit. Like: “Don’t walk out there with one hand in your pocket unless there’s somethin’ in there you’re going to bring out.” You gotta commit. You’ve gotta go out there and improvise and you’ve gotta be completely unafraid to die. You’ve got to be able to take a chance to die. And you have to die lots. You have to die all the time. You’re goin’ out there with just a whisper of an idea. The fear will make you clench up. That’s the fear of dying. When you start and the first few lines don’t grab and people are going like, “What’s this? I’m not laughing and I’m not interested,” then you just put your arms out like this and open way up and that allows your stuff to go out. Otherwise it’s just stuck inside you. So are you happier today making those kinds of movies instead of the big studio films that you did in the past? For the most part, yeah. I’d rather live my life out of the glare of the spotlight doing the kind of little films I want to do than making big studio films that keep your name constantly in the public eye. I always hoped that one of the smaller independent films I would do in my career would have some recognition and would connect with audiences. And then low-and-behold Lost In Translation had that kind of success. For me, that was a welcome confirmation that I was doing the right thing with my career. I’m very thankful for that film and I feel I did the best work of my career in it.